Where do you start when going solar? As the solar panel cost continues to decline; many homeowners around the world have already made the switch to solar and are already enjoying the benefits such as reducing their energy costs while becoming more energy independent. However, for some homeowners want to be informed well before deciding about going solar. Such homeowners may be wondering where to start when going solar. Also they may be undecided whether to adopt other forms of renewable energy such as geothermal, wind, or even biomass. In this blog, you will find some useful information to help you decide about switching to solar energy. So where do you start? Most people usually start with searching for information that would help them make a more informed decision. In that regard, everyone that is interested in going solar wants to know: Are solar panels worth it? or is going solar beneficial for their specific case? To answer these questions, this will involve making a determination of whether you are receiving enough sunlight to power your solar panels while finding out the economics of going solar as captured below. Determine whether you have a roof space or available space in your home where solar panels can be installed to receive enough sunlight. This space should be open and free from shading from nearby structures including trees or buildings. Determine whether your current geographical location receives enough sunlight that is able to power your home with solar energy and help you to offset some of your energy costs with solar. Determine the costs and savings that will result from your decision of going solar. Determine your average monthly energy bill to help you calculate the potential solar costs and savings. Get at least three solar quotes from licensed and qualified solar installers and compare their solar panel cost presented in their proposal. The above information may require a lot of your time in order for you to draw conclusions and that’s why new online solar tools, like the Pick My Solar energy system come handy these days. With these new online solar tools, you are able to reduce the amount of time you spend to go solar while saving money through cost comparison. You don’t need to collect the above data before deciding to go solar. Also these online solar tools have a pool of solar installers and making cost comparisons is made easier. All that you need to do is to type your home address into the tool and generate the above information for your specific case. Also once you are happy with the figures generated by the solar tool, you can create a profile with the company to get help from their support team. Once you have decided to go solar, you can use the Pick My Solar to save money off going solar. 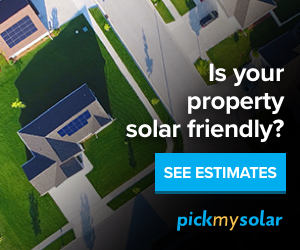 Also, to get more accurate results from this online solar tool, you will need to create a profile and submit a your home energy bill so that you can get a free solar proposal. Get started to go solar with less time while saving more money when you do your cost comparison and use of the Pick My Solar.